This year, the American Society of Nuclear Cardiology will host its 2017 NC Today: Best Practices for Today, Innovations for Tomorrow program from April 20 through April 23, 2017 at the Chicago O’Hare Hotel in Rosemont, Illinois. “This meeting is very different from our annual meeting in that we really focus on the topics that are particularly relevant and helpful to our attendees in everyday practice. It is designed with the goal that they will be able to expand and improve what they are currently doing in practice and take some ‘aha’ moments back to their nuclear lab, and start implementing new and practical processes right away,” said Kathy Flood, CEO of ASNC. Cardiologists, nuclear medicine physicians, nuclear technologists, radiologists, and other nuclear cardiology professionals from the U.S. and globally will join us for the highly anticipated, case-based training that will ultimately support the nuclear lab team in today’s rapidly changing healthcare environment. Given this value-based era of healthcare, the meeting will address the need and solutions to improve the quality of SPECT and PET imaging so that nuclear cardiology is viewed as a high-value test. It will look at applications that will help manage various conditions, such as heart failure, through image-guided management and explore other strategies and novel applications that will move beyond what’s considered to be within the traditional scope of nuclear cardiology. Another area of focus will be helping attendees navigate through the barrage of health policy issues. Are you still not sure what MACRA looks like or how your practice will work successfully under the new rules? Hear how MACRA and CV bundled payments impact imaging services and what the future of nuclear imaging looks like as a result. ASNC, in conjunction with MedAxiom, will once again be releasing the ASNC-MEDEXCELLENCE Survey. These practice trends will serve as a resource to drive performance and create value in your practice. Attendees are able to see what needs to change in order to be in better alignment with best practice labs and ultimately operating at their highest value. “The program will be filled with valuable education and discussion, but I think the biggest takeaway will likely be the Practical Dilemmas in Nuclear Cardiology session,” said Flood. These are the everyday questions or issues that may or may not be addressed in the guidelines. You’ll hear what the experts do in practice to tackle those not-so-easy situations that you see in your office on a regular basis. Past ASNC Board members Dennis A. Calnon, MD, and David A. Wolinsky, MD are co-directors of this year’s event. 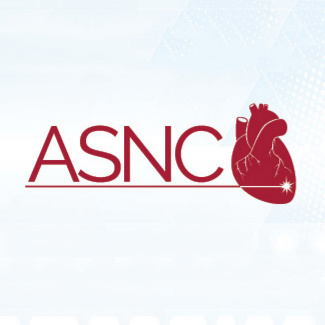 Among others, Jim Udelson, MD and Kim Williams, MD, Chiefs of Cardiology at their respective institutions, as well as past ASNC Presidents, will be speaking at the meeting. Both Rob Pagnanelli, CNMT and April Mann, CNMT will share their technologists’ perspective as well. Each one is an expert in their field and brings a wealth of knowledge to the program. The environment is designed to encourage questions and discussion, so don’t hesitate to join the conversation. Digirad is proud to be among the exhibitors at this year’s program so be sure to look for us in the Exhibit Hall. For more information on the program, visit the ASNC website.